This new collection of traditional singing games is similar in format to Jump Jim Joe(recently re-released as Rise Sally Rise). Andy Davis and the Amidons have put gathered some of their favorite singing games and music/movement activities collected over the last ten years since the Amidons published Jump Jim Joe. 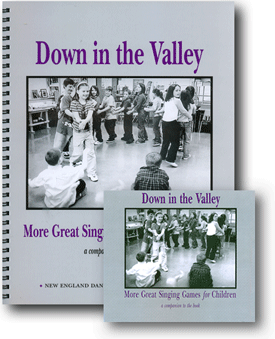 The book has the clear instructions that characterize all of the New England Dancing Masters materials.